The Beta trial for the Linux-client of Steam has officially begun. Currently only available for Ubuntu 12.04, the Linux variant of the Steam client currently hosts Team Fortress 2, a free-to-play first person shooter by Valve along side approximately two dozen additional Steam titles. While short on games, the beta client seems to be a new testing bet for Steam’s Big Picture mode which allows for use and compatibility of Steam-tied games with a TV and controller. 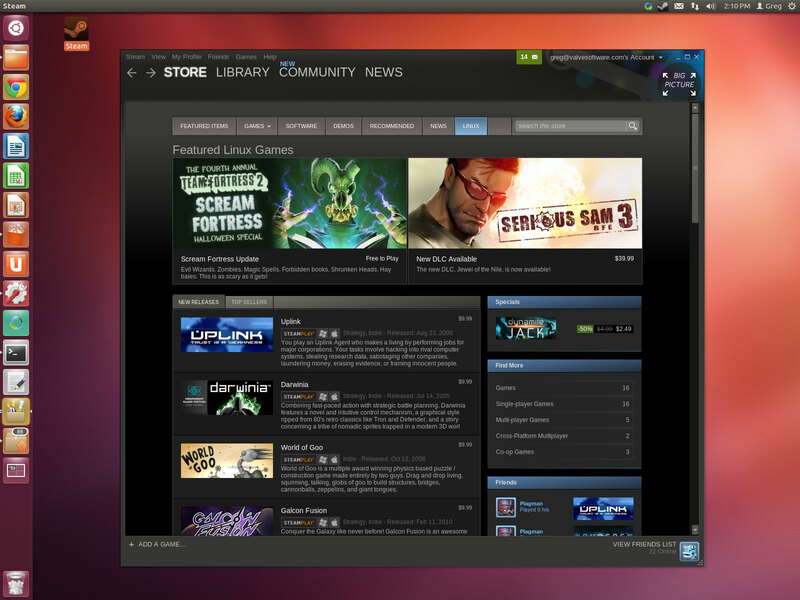 Nov 6, 2012–Valve, creators of best-selling game franchises (such as Counter-Strike and Team Fortress) and leading technologies (such as Steam and Source), today announced the launch of a limited access beta for its new Steam for Linux client. More details regarding Steam for Linux, including community discussion, beta participants’ feedback, official announcements and syndicated news can all be tracked on the new Steam for Linux Community Hub at http://steamcommunity.com/linux. NVIDIA today announced the latest NVIDIA® GeForce® drivers — R310 — double the performance(1) and dramatically reduce game loading times for those gaming on the Linux operating system. The result of almost a year of development by NVIDIA, Valve and other game developers, the new GeForce R310 drivers are designed to give GeForce customers the best possible Linux-based PC gaming experience — and showcase the enormous potential of the world’s biggest open-source operating system. Available for download at www.geforce.com, the new R310 drivers were also thoroughly tested with Steam for Linux, the extension of Valve’s phenomenally popular Steam gaming platform that officially opened to gamers starting today.